Ebony spent Saturday at the park with Laurie while I caught up on some work. 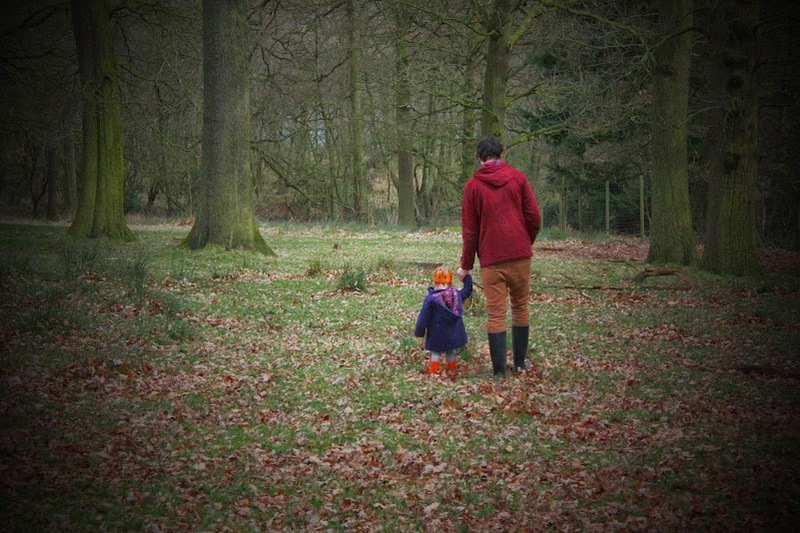 We decided to try and grab some quality family time on Sunday, and so headed over to Tatton Park for an adventure. Ebony insisted on wearing her now misshapen and damaged crown, as she has done for most of the week. Before we’d even reached the gates, Ebony had collected a handful of sticks to keep. These ended up in my bag, of course. As we walked across the grass, Ebony saw a tree stump and ran over to climb it. She announced she was going to sit on it, and tried to get herself into position. In the end, she looked uncomfortable and then sadly said she would just sit on a chair at home instead. Toddlers are just wonderful. There were some horses being taken out of a horse box, and Ebony made Laurie take her over while she exclaimed, “Wow, pretty horse.” A woman brought the biggest horse over so that Ebony could stroke her, and Ebony didn’t seem at all fazed by the size of the horse (I say this as someone who is scared of horses). Moments later a tiny dog walked over to Ebony and she looked terrified, then continued to stroke the humongous and powerful horse. Ebony has developed a love of balancing on fallen branches, so each branch we passed had to be tried out. There were plenty of hiding places in the words, and Laurie kept running off to hide, leaving Ebony to chase after him. At one point, he leapt out from behind a bush and Ebony looked like she had been electrocuted with fear as she jumped back. She saw Laurie reach up to touch a branch, and wanted to do the same. Laurie lifted her up high, but Ebony sighed loudly and announced her arms couldn’t reach. Laurie tried a few more times, before I broke the news that Ebony wasn’t actually holding her arms up to even try and reach. Laurie disappeared to look at some trees, and Ebony spent a good five minutes shouting, “DADDY, COME BACK! LAURIE, COME BAAACK!” When he reappeared, the two of them when to jump in a huge puddle of mud, before deciding to head back to the car. By this point, Ebony was carrying two “stick men” and, as we reached a tree, she held them onto the bark while saying, “back to the family tree.” It was so sweet, we love Stick Man, and read it most days. After that she wanted to go and investigate why all the noisy cars were jumping (a cattle grid). Then, caring little about the fact we were now late for our lunch date, she sat on a tree stump and refused to move for a while. She’s gotten really into climbing recently, I love how brave she can be at times. Not when there’s tiny dogs about though, obviously. Have you been on any great adventures this week? Don’t forget to link up by commenting below.